Tyre review data from 12 tyre reviews averaging 65% over 51,273 miles driven. Positive - Good aquaplaning properties, good dry handling. Negative - Very poor wear, very high rolling resistance. Positive - Good aquaplaning result, short dry braking, cheap to buy. Sorry, we don't currently have any questions and answers for the Kumho Ecsta PS71. Why not submit a question to our tyre experts using the form below! 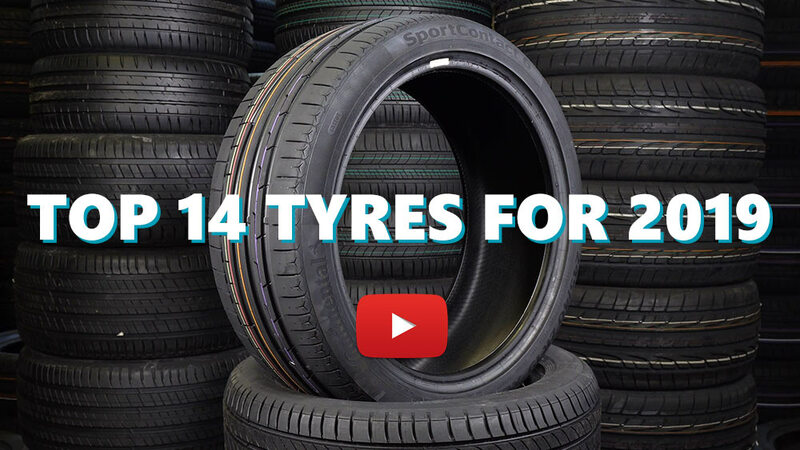 Available in 44 tyre sizes - View all. I've always used kumho because the price well reflects in proformance if only they didn't need constant rebalencing. I've had 4 duff pairs, ku31 x 2 pair, ku 39 x 2 pair that had to come off in the end they were so bad. No amount of balencing can sort an egg shape tyre. These new ps71 are very soft, squishy, feel like running on 20psi with 30g wheel wobble even after twice rebalencing them & 1 of them is egg shape. I am worn out with trying to get them right & think after years of kumho on various different cars I'm giving up on them. I always feel bad going back to the shop to moan they must think it's me lol but kumho have let themselves down & I will say so. PS71 is more expensive, lower spec & lower quality, not for me, I like a tyre to be not thought about coz it's getting on with it's job instead of feeling there's a 60mph side wind blowing me around & the steering wheel hammering out of ny hands not to mention the amount spent on rebalencing & hanging around tyre shop waiting for my turn. Have you driven on the Kumho Ecsta PS71 tyre? Please help millions of other drivers make an informed tyre choice and pick the correct tyres for their car by submitting your review of the Ecsta PS71. Bought as an “upgrade” from lower mid range tyres. Whilst handling and grip is fine under normal driving conditions there is lots of road noise at any speed which is a bit tiring on longer trips but acceptable. However, they are terrible at motorway speeds from 71-76mph, droning that is very intrusive to the point I though I had a wheel bearing going. Removed after 3000 miles as I couldn’t stand it any longer. Swapped to some nangkang NS-2 which are considerably cheaper and possibly seen as an inferior brand but instantly cured my road noise and droning problems.. please don’t waste your money on these! Bought these less than a year ago and they are down to the wear indicators already, all in all around 14000 straight motorway miles out of these which is bad for a general purpose tyre. The compount seems very soft which seems to help in dry grip but wet performance is poor and tramlining is terrible. Will not buy again. After trying many different tyres, these offer the best combination of grip, feel and wear. Road noise is impressively low, grip is good in all/most conditions and the tread is quite firm in that the blocks can't be felt moving around even when new. They feel positive and give good feedback with no noticeable tramlining noticed. The only downsides are: the wear rate could be better...but, having said that, these tyres in 94XL format, are a fair chunk better than other similarly priced tyres offering similar performance and the limited availability. Just avoid these! Impossible to get in balance. Tyres are not "round". Didn't even know that it would be possible for tyres that are not even the cheapest on the market and has had decent reviews in test. I feel really fooled and am really disapppointed. Save your money and buy something better! after a year and a half of a love-hate relationship with these tires it was time to end it. I have to admit - the grip was always phenomenal. sometimes on the wet even better than on dry. breaking really strong, you just new the car would stop really quick if needed. the steering response was great, handling confident, the greatly understeered Prius became a joy to ride even through the curvy country rooads. so, on that part, it is a genuine, pure 10. A+. best of what I drove, ever. easily. but - there's always a but - at the cost of the comfort. I did cca. 27.000 km with these tires. and had to balance, rebalance and refit and whatnot, 5 different times! 5! TIMES! usually I did it only when switching from winter to summer tires, but here, I had to do it basically after every 5000 km. yes, I did rotate the wheels - front to back, back to front, last time we even took the tires of and switched the alloy rims, just to make sure the rims are not problematic. nothing. we even did inspection of the suspension, as there were also some strange noises coming from underneath the car. and vibrations were present still. the party would mainly start on the highways, with speeds above 110km/h. small, but annoying vibrations. at 130 vibrations would go away in straight line but would appear during faster long highway turns. a strange noise would appear, somewhere from the front part of the car - first I thought it was my wheel bearing, but since there was no noise during country road and city driving, I assumed it was not the bearing. we even did a check on all four, but the bearings were fine. then we turned the wheels front to back, and the noise would start to come from the back of the car so - tires. also, these tires are quite a bit "thirsty". they need cca. 0.2 to 0.5 l/100 km more than Michelins I had prior to them and Goodyears I have now. Actually, I can feel less rolling resistance when I am cruising around the city. so, after a year and a half of love-hate relationship, it was enough. with some 5 mm of thread still left, so plenty of live and grip in them still, I threw them off the car and fitted GoodYear EfficientGrip Performance. completely different car. runs smoothly, much more comfortable and much more quiet in the city and finally with no vibrations on the highway.